I attended a BBQ recently where I couldn't take my eyes off of somebody's quilt-- typical. I don't know who the owner was, but I'm kicking myself I didn't find out, because I haven't stopped thinking about it. It was a straight forward flying geese pattern, where the "geese" circled each other and then spiraled out into other repeating blocks. The background was black and the geese were pieced from pale to medium shades of blue, pink, red, green and purple. I think it was the black that did it for me-- I don't remember ever loving anything pieced with black in my life. 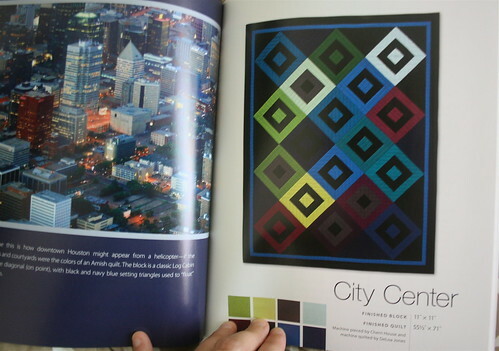 Now I'm all wrapped up in City Quilts: 12 Dramatic Project Inspired by City Views, by Cherri House, where some of the sample quilts take black fabric to center stage. I love it. 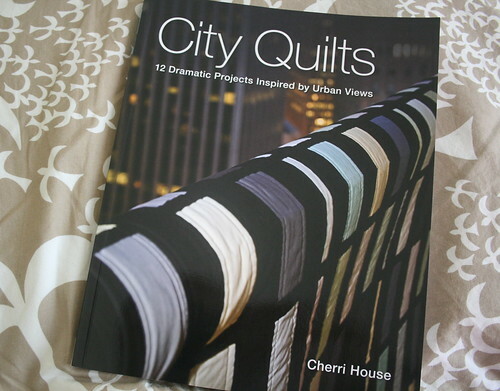 I am a happy city dweller (though Portland hardly seems very "city" most of the time) and I think Cherri has really captured cityscape in pattern. Obviously, the quilts would look gorgeous in lots of palettes, but I'm really drawn to the bold jewel tones and deep backgrounds. Cherri House, who along with her fabric designer daughter, LIzzy, own and operate Cherry House Quilts. 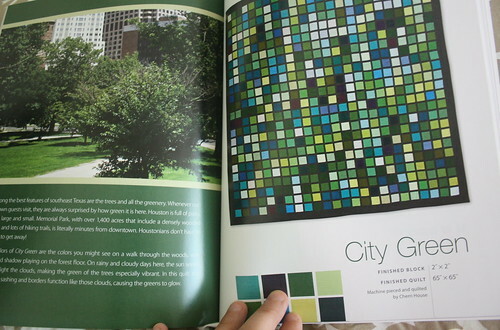 It's a beautiful soft cover book full of good information supported by a great layout. 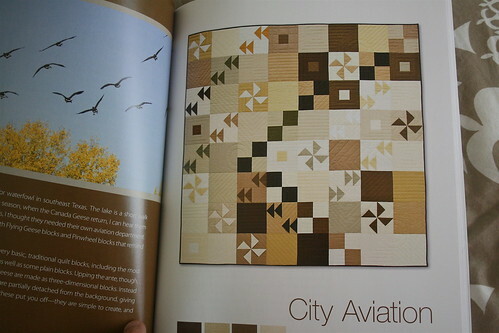 This would be a stunning gift for the modern quilter in your life (maybe you?). I now have my eye on the stacks of pre-cut Kaufman solids in the front window. They would make jumping into a new quilt with two feet so much easier. Heather Ross, Nani Iro and Keiki, Oh My!